According to data reported in the European Parliament resolution of 5 February 2009 on International Trade and the Internet (2008/2204 (INI), one out of three EU citizens conducts online purchases. This figure has increased significantly not only in Europe but also globally as a result of the general trend of steadily increasing the number and type of products and services offered via Internet. Often the law remains breathless while struggling to catch up and implement adequate laws covering rapidly developing sectors in the economy. 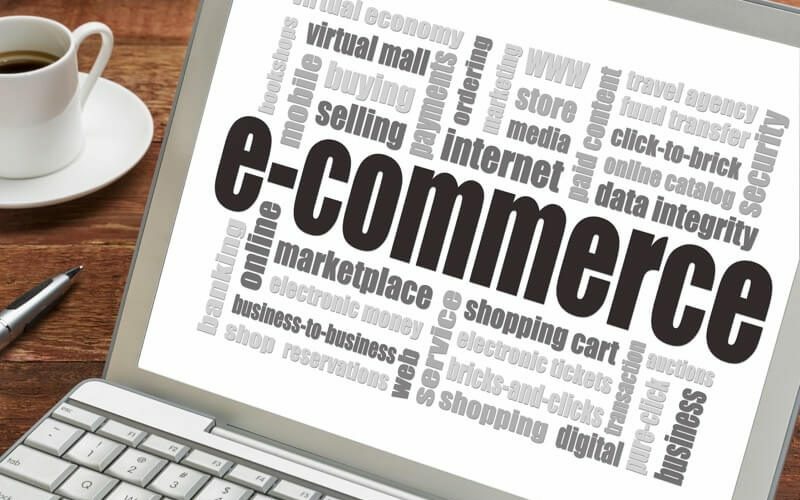 On the other side, the companies working in the field of e-commerce, must quickly adapt to new rules and apply them in their online procedures. If you are about to launch your own business on the Internet related to online services or have already made first steps, but not sure whether you are up to date with the legal requirements, the information below may be of interest for you. Choosing the right domain name is the first vital step for the stability of your e-commerce. You might face serious problems if you are involved in a domain name dispute with the holder of a trademark with the same name. These disputes, known as collision of domain names with trademarks require special attention and notes presented on many pages. Briefly, what is reasonable, desirable and advisable to do is make sure that the chosen domain name is unique and no registered trademark under that name as well as check up whether goods or services with the same name are already marketed. Another important point is the owner’s name entered into the register. If your website developer or other person is committed to registering your domain, make sure that your name or your company name is registered as owner of the domain name. Perhaps you think you possess in full all rights to your e-commerce site. You will be surprised to learn that sometimes this is not true. Whether your site is custom developed by other companies or created under an employment contract with your employee, it is important in any contract related to creation and maintenance of your website to be clearly stated what are your rights on each component of the site, in what volume you own these rights and for what period. In your e-commerce site, a developer may be using programming, scripts, applets, shopping carts or other features that have been taken from or used in other projects. Similarly, graphics, pictures, backgrounds and layout may be borrowed from other sources. Hence you need warranties and declarations that the rights of intellectual property objects incorporated in your site were settled with their owners and that liability for infringement of copyrights and other intellectual property rights in your e-commerce site will be bear by the creator of the site. Consumers are deeply concerned about security and confidentiality of personal information. E-commerce websites must have a policy for personal data protection that is available and posted in a conspicuous place on the site. Published rules for the protection of personal data must be in compliance with the Law on Personal Data Protection. For online transactions e-commerce websites generally offer two types of contracts – a standard contract that contains a button for giving online consent of the client or binding general terms in respect of any transaction done online. There are also a combination of both – a short form with basic terms of consumer contract and reference to the general terms for all other general questions. No matter what type of contract is available for online transactions, customers must be provided with an access to the full content of the contract, the option of cancelation of signing online agreement and a consent button for accepting the terms of the contract and confirmation of the transaction. You should consider the fact that electronic form of the contract is unenforceable when the law requires a qualified form of the conclusion of the contract (eg notarized signature). In all these cases, online contract would be invalid. E-commerce site must contain certain information that is expressly referred to the Law on Consumer Protection. These duties include providing information to the user regarding the name and the address of the provider, the general characteristics of the commodities/services, the price of the commodities/services, including all taxes and fees, the cost of postal or transport charges, which are not included in the price of the commodities/services, related to their delivery, the cost of using a mean of communication from distance, when it is calculated in a way, different from the one indicated in the general tariff, the way of payment, delivery and implementation of the contract, the right of the customer to withdraw from the contract and the conditions in which the commodity may be returned, the period for which the particular offer or price shall be valid, the minimal duration of the contract for contracts of constant or periodical delivery of commodities/services. Those who not fulfil the obligations to provide an information to the customer could be punished with a fee amounting 300 to 3000 BGN. For some specific online transactions special laws require providing additional information to the customer that must be announced by the supplier. The amount of fines in these cases may be considerably higher. For example, when concluding online financial services related to credit, insurance and similar services, the supplier must provide the user information pursuant to the applicable provisions of the Law on financial services from a distance. The fine for breach of this obligation is therefore between 1000 – 4000 BGN. In electronic commerce there are many other “hot” issues requiring special attention and legal consideration. These questions vary depending on the specifics of the business carried on in the Internet environment. Online sale of certain goods are subject to special requirements, while others (such as drugs, which are subject to medical prescription) online sales are expressly forbidden under Bulgarian laws. Farseeing entrepreneurs usually settle in advance in contracts, procedures and rules all the main issues that matter for their business instead of wasting valuable time and money in litigation and not waiting for the court ruling. E-commerce will reward those who apply innovative, well-regulated and documented transactions with regard to the trade relations.